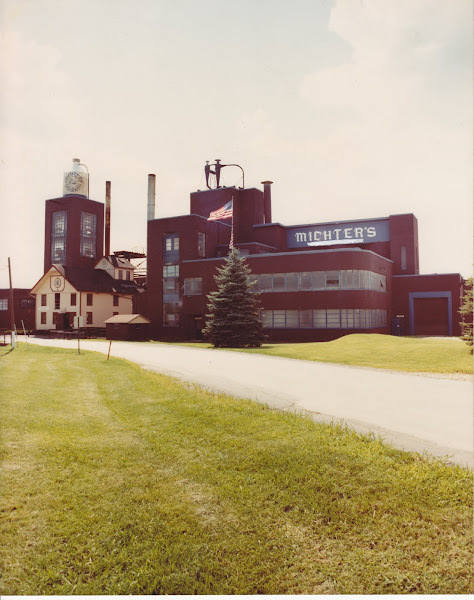 Cradled in the Blue Mountain Valley of the Pennsylvania Dutch Country lies a unique distillery where ancient art and modern methods meet in making MICHTER'S POT-STILL SMALL TUB WHISKEY. From distant times and far places come the elements which produce this superb liquor. From the Provinces of France and the Highlands of Scotland come the traditional techniques used in making the finest Cognacs and Scotch Whiskies. From the fertile farms of America come the carefully selected Number One quality grains: from lake-studded Michigan, the hearty dry flavor of Rosen Rye; from the rolling fields of Pennsylvania, the mellowness of Lebanon County Corn; from the sun-warmed prairies of Dakota's Red River Valley, the richness of Barley Malt. Slowly and naturally dried, these special grains receive two successive distillations under rigid supervision. 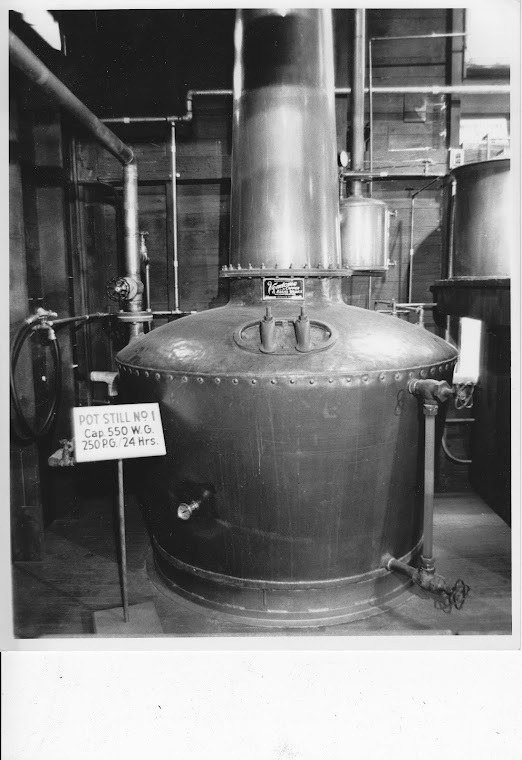 With painstaking care all harsh and bitter impurities and inferior liquors are removed, leaving the exclusive natural grain flavor and gentleness of spirits that distinguish a truly great whiskey. Sealed in custom-made casks, MICHTER'S ages naturally and unhurriedly in the cool quiet of old country warehouses, finally to be decanted and jugged- a rare and perfect whiskey for the most discriminating taste. The best SIX YEAR OLD whiskey we know how to make. Sole U.S. Agents: Louis Forman & Company Philadelphia, Pennsylvania"
And you thought over-wordy, over-the-top descriptions by distillers were a new thing?